Go there to learn yourself some drawin’! Drawing from the Masters at The Getty Center is offered on the first and third Sundays of every month and provides participants general sketching guidance via a rotating list of guests artists. Topics for the instructional sessions range from establishing proportion to drawing portraits to perfecting composition. All experience levels welcome, but folks are encouraged to bring their own sketchpads. The class usually takes around two hours, and you can sign up about one hour beforehand at the information desk. 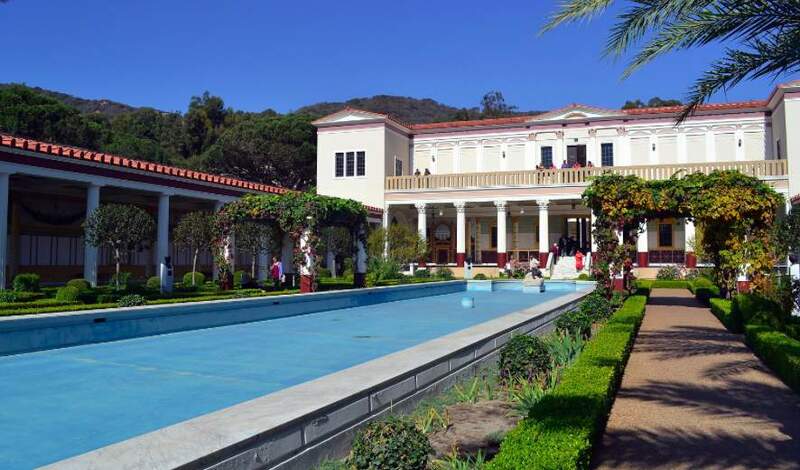 Also offered every month (usually on a Saturday) is a program entitled Drawing from Antiquity at The Getty Villa. During this 90 minute session artist and educator Elmira Adamian guides an informal lesson as students sketch from works of art, architecture, and the gardens of the Villa while also experimenting with various historical drawing materials in the gallery and studio. Supplies are provided and all skill levels are welcome. Sign-up begins 15 minutes before the start of the program at the Tour Meeting Place across from the museum store. There is a limit per class is 25 participants. Oh yeah, and the best part about both programs? They’re FREE (minus the parking costs of course). Check the most current schedule of classes below. Below find a list of upcoming free drawing classes currently on the calendar at the Getty Center and Getty Villa. We will update this list regularly as new classes are announced. Discover drawing techniques for creating perspective with artist Marissa Magdelena. 3:30–5:30 p.m. Explore ways to divide space and compose pictorial elements to create dynamic compositions with artist Peter Zokosky. 3:30–5:30 p.m. Discover the art of nature journaling with botanical artist Deborah Shaw. Learn the value of nature journaling, what to look for, and how to draw leaves and flowers. 3:30–5:30 p.m. Discover and draw flowing, alternating, and repetitive pattern and movement in the antiquities of the Getty Villa. Supplies are provided, and all skill levels are welcome. This is a free program. Sign-up begins 15 minutes before the start of the program at the Tour Meeting Place. 11:00 a.m.–12:30 p.m. If you plan on visiting either Getty museum, keep in mind the parking is going to set you back $15, so it usually makes sense to either go as a group or ride-share / take public transit if you want to save on the cost. For more information on visiting either Getty museum, visit getty.edu.